Spent the first 2 weeks of June staying at the Rough Cut Lodge (www.roughcutlodge.com) along Route 6 near Gaines, PA on our yearly vacation. In addition to being terrific accommodations, the lodge overlooks Pine Creek, and there is easy access to other great streams. 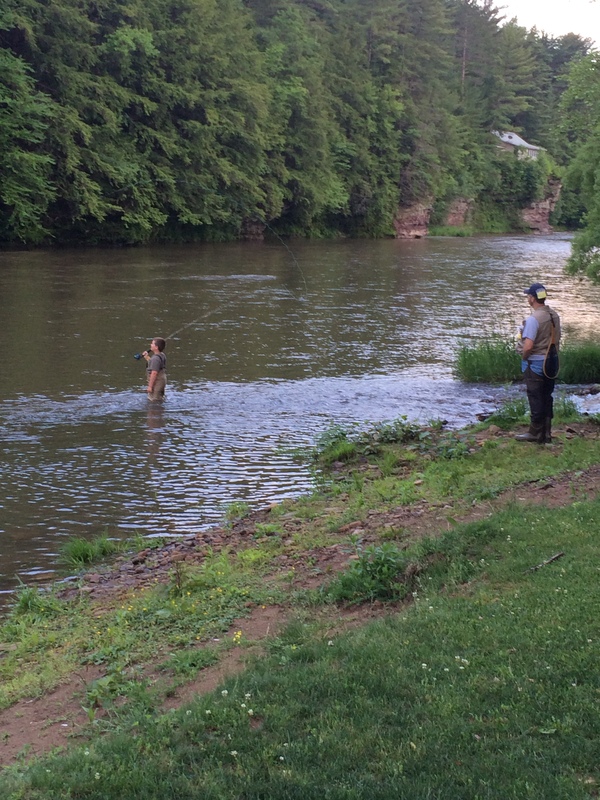 We have 3 generations of fly fishermen, having revisited this spot for 14 years. Pine Creek: We missed the green drake hatch but still had lots of action particularly with slate drakes, sulphurs, caddis, BWOs and even midges. 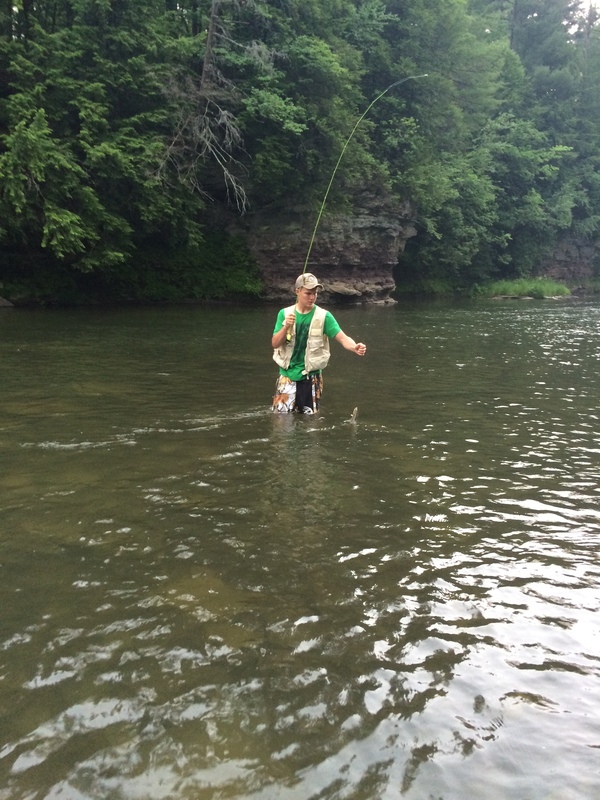 Allegheny River: This is always one of our favorite places to fish (above Coudersport). Again. the hatch activity was limited the year, but we did reasonably well on some rising fish using caddis, cracklebacks and midges. 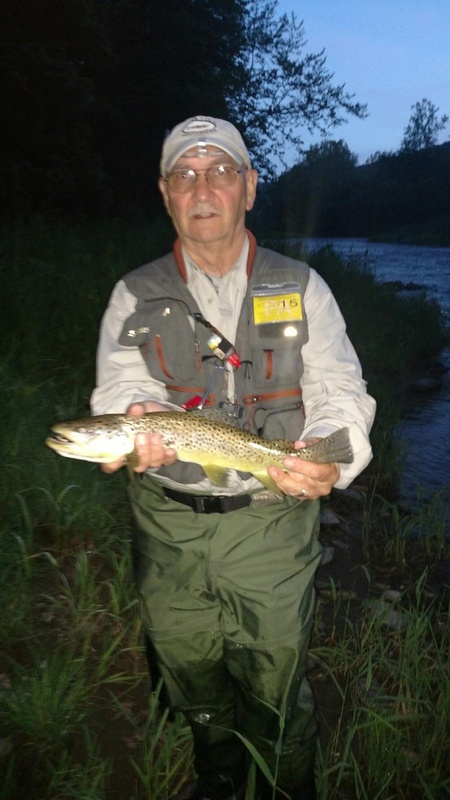 Slate Run: My goal has always been to catch a big fish on Slate. Mission accomplished! Caught a 16″ Brown on a Grannom Caddis. My son Craig topped me with a 16 1/2 ” Brown on a #18 BWO. 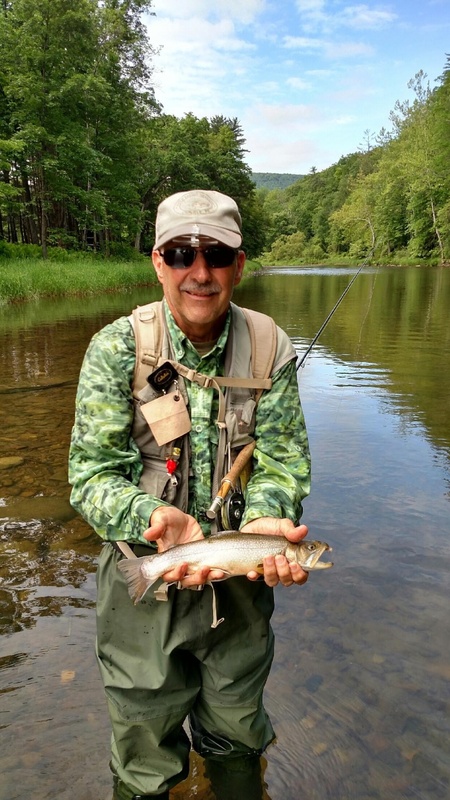 Lyman Run: No trophies this year on Lyman but we had fun catching wild brookies on caddis and a parachute hares ear. Hammersly Fork: This is a tributary to Kettle Creek below Cross Fork. 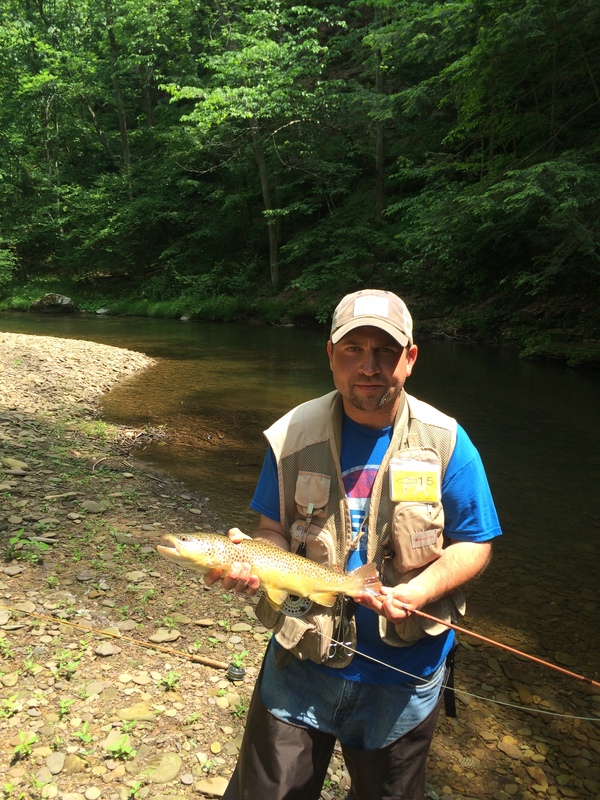 Again, we had success catching brookies on a stimulator fly. 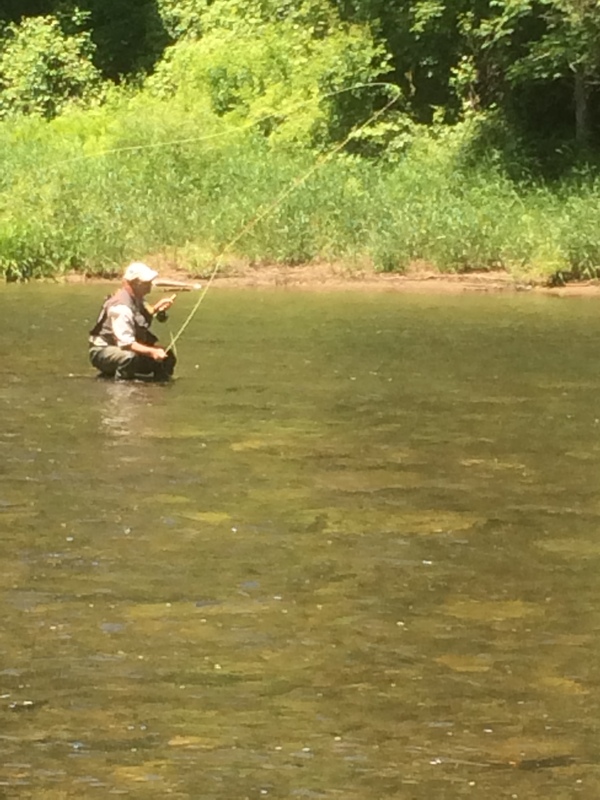 So, thinking back over these 2 weeks, several things have occurred to me that continues to draw us back….it’s about family, camaraderie, seeing a new fly fisherman catch a trout on a dry fly, a memorable catch and unfortunately the one you lose which haunts you till next year.